The Book of Joy is the next book for my Friday morning small group. I started reading it this morning and after just 16 pages, I’m all in. We read slowly, so we have ample time in our 90 minutes together each week to really cover what we’ve read. I expect this book might take us nearly to Advent. It’s a journey I’m looking forward to. I’m also still knitting the same sweater I showed you last week, but this is a different part of it. I finished the back and that’s the left front. One more piece after that and the knitting will be done. Then I’ll have to block and seam, find buttons and sew them on. Those non-knitting finishing steps are not my favorite. I might need to read ahead a bit to learn how to find joy in them! Joining in with Kat and crew today. Ten on Tuesday | D.E.A.R. From state to trait sounds like a great journey with those two! I'm not always a big fan of analyzing books, but I think discussion in your group probably adds to reading understanding and enjoyment. Think about the joy that sweater will bring wearing it in Alaska! 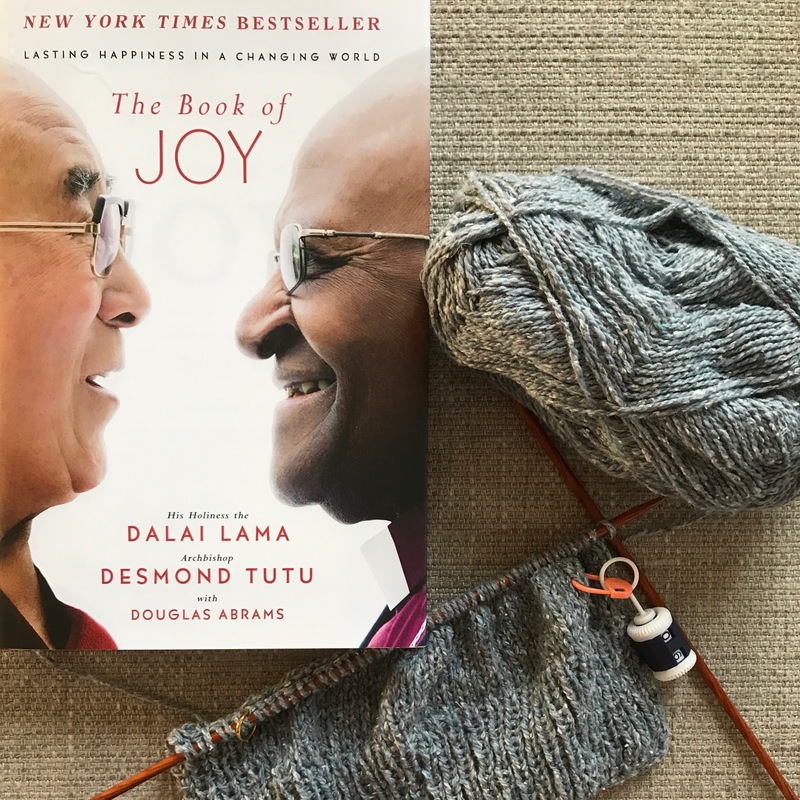 This title is on my "someday/maybe" list, too…glad you're reading and I look forward to a) reading your review (Good Reads) and group's discussion and b) seeing your sweater on you! Knit and read on! You know I'm all about the joy. I may have to add that to my "to read" list. I'm not always into analyzing books either, but this one looks like a good one to prompt discussions. Finishing always seems to be the longest, drawn out ordeal! But, with Alaska ahead of you, I've no doubt you will get your sweater completely finished in plenty of time. Enjoy the journey! Googled immediately – between you and Honoré, my basket is always full :). Hoping you find a way of coping with the rest of your sweater! Books that make you think-deeply. Sounds like a good recommendation. That does sound like a great book! I think I might suggest that to my Sunday Book Club! Thank you! I'm all for enduring joy, we all need it! Love the knitting and the color. Thank you for the review. I've been wondering about reading that book.